When Conan O’Brien moved to TBS after his Tonight Show gig was cancelled, he also pushed back George Lopez’s late night show an hour. According to news reports at the time, this was done with the full blessing and possibly even the invitation of Lopez. The obvious reasoning behind the move is that Conan would bring in a huge influx of new viewers to the network, and while Lopez would be on later, the carryover from the Conan boost would more than make up for it. Unfortunately, that bet didn’t pay out. This week TBS announced they’ve canceled Lopez’s show, due to low ratings. 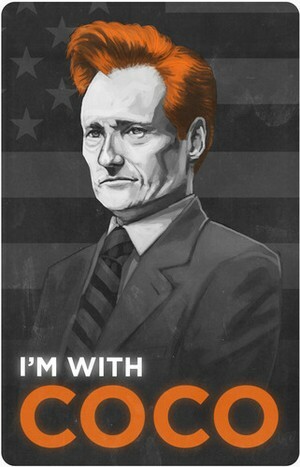 And a recent article in Variety posed the question: Did Conan Undercut Lopez? It’s an interesting analysis of the ratings and speculation as to the reasoning behind the move, and anyone interested in the matter should read it. The dirty little secret in this story is that a large portion of Conan’s audience is watching him online or with their DVRs, i.e., when time slots are irrelevant. So while TBS is happy with the overall take-in of Conan-based revenue, it doesn’t help much with the rest of TBS’s programming. Perhaps, if anyone is taking notes here, it should be Conan. People are showing up for him and his brand, not for any particular network. So what if he were to cut the cord, so-to-speak, and produce his show exclusively online? Sure, at the beginning, the overall ad revenue pie might be smaller for his show, but he’d get the full piece of it and not have to share it with a network. Internet based video content is exploding and maturing. And many shows produced for internet consumption are increasingly grouping themselves together under “channels” or “networks” of their own. Look at Leo Laporte’s TWiT.tv network, Jason Calacanis’ This Week In network, Streamin’ Garage, etc. If Conan is happy producing his show and that’s all he wants to do, then yes, he should definitely be with a network that can manage his online presence and let him do what he loves to do. But if he wants to join the pioneers of online content production, the data clearly shows that the opportunity is his to seize—if and when he wants to seize it.